You might be giving them a bit too much credit. When the pot calls the kettle black, at least it’s telling the truth. Heh, my kettle is stainless steel. This article started to be about something else, a complaint at BR that the Obots where coming over there to demoralize the birthers; however, when it came time to write it, I couldn’t find the comment, but while searching for the word “obot” I came across multiple comments from Rambo Ike. Dave B.: When the pot calls the kettle black, at least it’s telling the truth. I have been amused watching RamboIke trying to defend Trump’s false claim that Hillary Clinton started the Birther movement. When you challenged him on it he did what he always does and posted a link and then completely misrepresented what it said. When that didn’t work out he went into general Hillary bashing with wild claims from a RWNJ site. He’s done the same with Lupin when he claimed Lupin said he wasn’t qualified to translate French to English. I think it’s very important to give people and sites like Ramboike and BR all the consideration they deserve. However I have some difficulty in that I don’t possess the tools to measure GAFF at microscopic levels……. 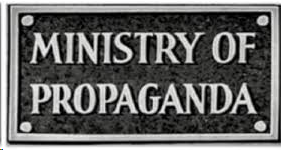 There were a couple of references to “RC’s propaganda site” in the comments I read. 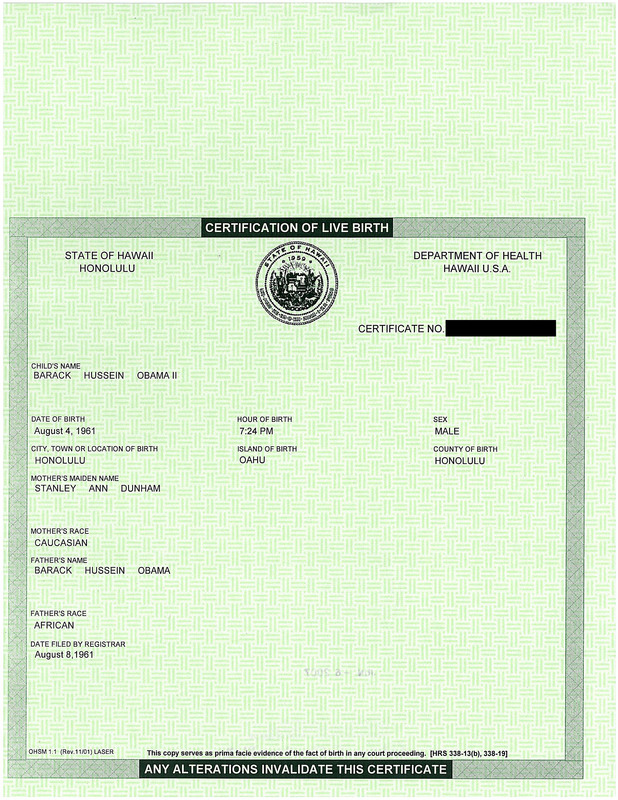 Reality Check: I have been amused watching RamboIke trying to defend Trump’s false claim that Hillary Clinton started the Birther movement. Ramboike is banned on this site because his comments are so outrageous as to provoke endless response, generally hijacking the site to be about ramboike rather than Obama Conspiracy Theories. bob: If that’s the standard…. The “form” on this Blog is very nice. .as far as comments goes, and linking them. I believe intent to harness Facts is also noteworthy. one truism that everyone likes to deny is the simply fact that believers will believe what they believe and will reject all facts that the other parties present as evidence, simply believing that what they believe must be the truth. You seem to be saying that all opinions are of equal value and that everyone operates at the same level of bias. That’s not true. Some of us arrive at our opinions through an objective analysis of the facts available. We test our conclusions with sound methodologies and best practices. We get our information from reliable sources. 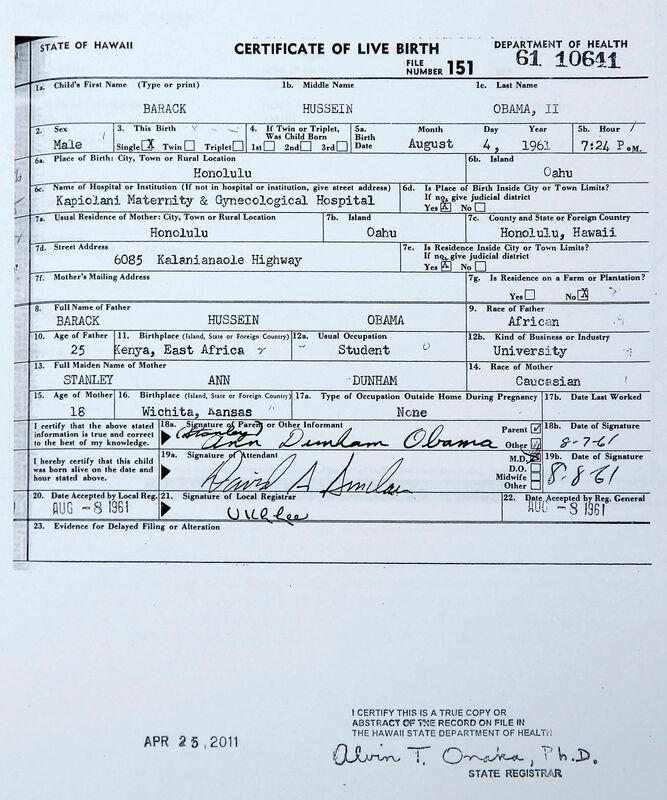 When I first figured out that the birthers were full of crap, I barely knew who Barack Obama was, and had no bias in his favor. 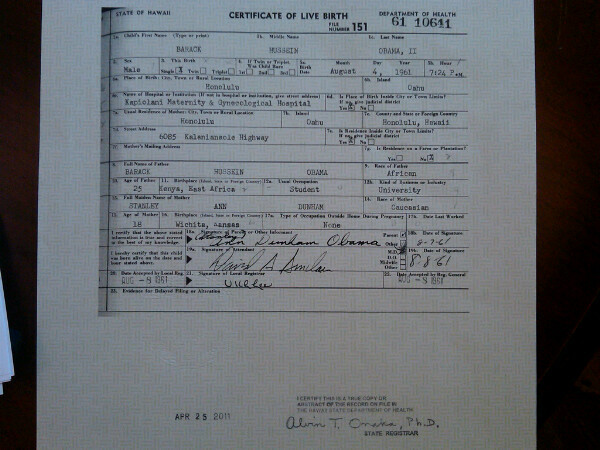 At that time, birtherism was not restricted to the far right. 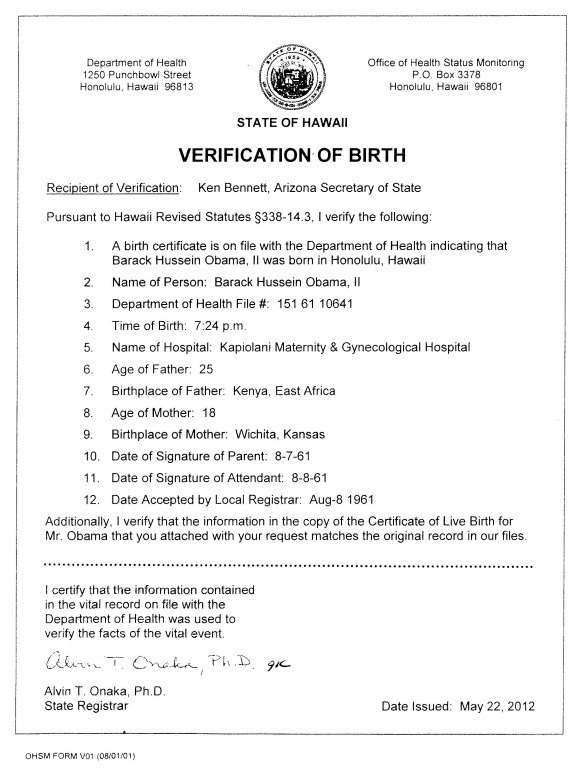 I had no reason to believe or disbelieve the claim that Obama was born in Kenya and that his birth certificate was a fake, until I looked at the evidence. trader jack: one truism that everyone likes to deny is the simply fact that believers will believe what they believe and will reject all facts that the other parties present as evidence, simply believing that what they believe must be the truth. I’ve started playing with Dr. Con’s Leftist Propaganda Blog It’s a log way from a first draft still. When I started the project, I was reminded that I really have already done something a bit similar with the Obots.org site. And that is the truth as you see it. 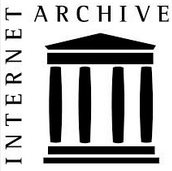 I was looking at some information on the Vince Foster death where the counsel’s opinion was suicide with supporting evidence, but, as there always is the but factor, it turns out that one of the investigators filed a 35 page report dissenting with the opinion of his bosses, and that dissent was never disclosed to the public. Apparently the investigator left the job after his dissent was ignored. then some people found his report in the archives and published them. It is quite interesting to see what the dissent was about, and wonder why it was over-ridden, and hidden, by the bosses above him. Beliefs need to be re-considered when disputes arise at a later date. But. expect not, when it concerned these type of matters. I find it best to not believe all of the stuff on the www. Mr. Knowlton requested that his personal remarks be included as an Appendix to the Report of the Independent Counsel, and it was. It took me just a couple of minutes to find an official copy of the report with the appendix. Knowlton was one of several witnesses. He was unhappy because his version of events wasn’t believed. What is strange about all this “hidden” talk is that the Starr Report was released in 1997, and Accuracy in the Media had written about the Appendix 1996! So at least they were reporting it. The press reports what it considers reliable information. Ken Starr was certainly no friend of Bill Clinton. If he considered the report correct without the claims in the appendix, then the press would reasonably conclude the same. I think your complaint is that the press didn’t report one guy’s opinion that you like better than the one from all the other witnesses and the experts. Well, tough. trader jack: And that is the truth as you see it. I was looking at some information on the Vince Foster death where the counsel’s opinion was suicide with supporting evidence, but, as there always is the but factor, it turns out that one of the investigators filed a 35 page report dissenting with the opinion of his bosses, and that dissent was never disclosed to the public. I have spent the afternoon reading the OIC report on the death of Vince Foster. The Appendix is nothing more than copies of letters from 3 people who wanted their statements attached with the official report. Two of the letters correct inconsequential errors; the third is from Knowlton, a witness. The official report addresses the issues Mr. Knowlton raised, since he was a witness. It does not address his claims that he was “harassed by 25 men.” I can see why the press did not include these personal requests to get a word in. Knowlton was a park service employee who was at the park to urinate. When he got home he learned of the Foster suicide, and called in to tell his story, which consisted of him seeing come cars parked, and a “menacing” man staring at him. Knowlton and the other 5 civilian witnesses had differing descriptions of the cars and their contents. Nobody else saw the menacing man. Knowlton also called a British newspaper and told his story to them; they published it. Subsequently Knowlton said that 25 men were harassing him tag team when he went out for a walk. The claim that the Starr report was just a repackaged prior FBI investigation is total malarkey. It was redone from the start. I don’t want to overstep what I can reasonably argue, but I was not left with a feeling that Knowlton’s evidence is very reliable. The guy was giving interviews to newspapers (so it was not secret at all). His account of being “harassed by 25 men” was bizarre to say the least, and particularly his claim to have the names and addresses of two of them. What government intimidation agent gives out his name and address? Knowlton is basically grasping at anomalies in typical conspiracy theorist fashion, while ignoring the overwhelming evidence to the contrary. The putative anomalies are all discussed in the official report which took into account the objections to the three prior reports. I come to the project both with some background on the unreliability of eyewitness testimony and the credentials of Dr. Lee. Knowlton’s statement in the Appendix notwithstanding, I found the Starr report compelling and well-done. Four independent investigations, two by independent counsels and two by Congress, arrived at the same conclusions. There’s no reasonable doubt that the death was by Mr. Foster, in the park, with the revolver. Accuracy in Media is very definitely a right-wing propaganda site. Objectivity is, it seems, not part of their reporting criteria. Ramboike cribs from them (or from them indirectly). There is a new, and very lucid article on the Foster suicide at the Vox site. Dr. Conspiracy: Mr. Knowlton requested that his personal remarks be included as an Appendix to the Report of the Independent Counsel, and it was. It took me just a couple of minutes to find an official copy of the report with the appendix. Knowlton was one of several witnesses. He was unhappy because his version of events wasn’t believed. Actually, I believe traitor jack is referring to the Miguel Rodriguez memo, which was declassified on the standard 15 year schedule in 2009. A copy is hosted here. I have to go build a shed, so I leave it to the Oborg Collective to deconstruct it. Looks like a lot of whinging to me. OK, thanks. One thing that was probably not known in 1994 is the link between suicidal ideation and antidepressants. Foster had just started taking an antidepressant the night before. However Foster had sought help from his family physician and obtained a prescription for an antidepressant, which his wife testified that he took the night before his suicide, and traces of which were found in his blood. Rodriguez had some problems with the weapon, but the Starr report goes into great detail about the weapon, and shows physical evidence that Foster had carried the gun in an oven mitt, and then transferred it to his pants pocket. Starr showed that it was likely that the suicide weapon was one Foster had inherited from his father. It was known to have been in his house in Washington, and was not in his house after his death. One might conclude that the Starr report was informed by the Rodriguez memo in that it addresses some of its concerns. It was an internal memo, and it is unremarkable that it wasn’t released at the time. W. Kevin Vicklund: Actually, I believe traitor jack is referring to the Miguel Rodriguez memo, which was declassified on the standard 15 year schedule in 2009. A copy is hosted here.